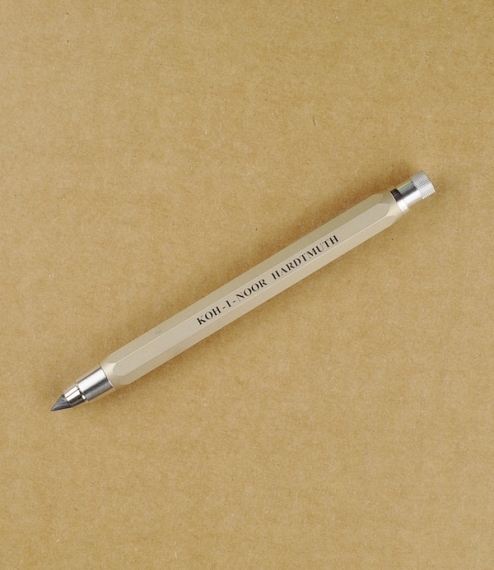 Heavy aluminium bodied sketching pencils with brass and steel clutch mechanisms and chromed fittings. 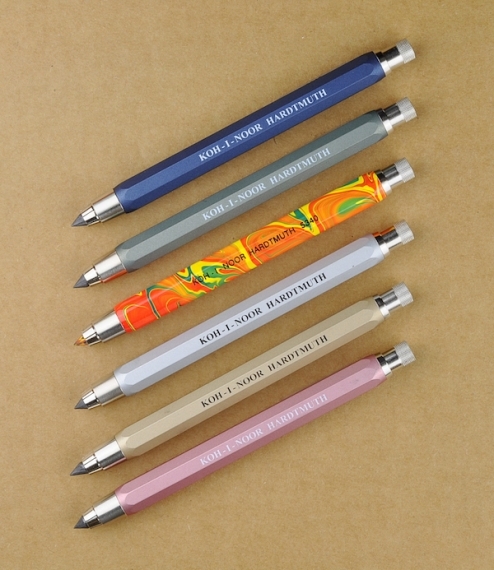 Supplied with a fine 2B graphite lead as standard, or in the case of the ‘magic’ pencil a varicoloured wax based crayon lead, both come complete with a built in sharpener secreted within the removable top button. Excellent sketching, fast drafting, and especially easel drawing pencils as the thick barrel naturally encourages a looser more expressive hold. Produced in České Budějovice, Czech Republic. Packs of 5.6mm leads are also available either 6 of 2B or else a mix of compressed charcoal, chalk, and black and brown drawing leads.